Solving the various intricacies of a pipe burst scenario, water heater loss, or even a local area flooding situation requires total expertise in the field and this is why 911 Restoration Central Mississippi owner Richard Lee Sims, and his water damage Ridgeland team are all licensed, insured, and bonded to do all forms of restoration care. When it comes to providing the highest level of services for homes and businesses affected by water damage, Richard and his team know that the best way is to get to the scene quickly to begin the extraction process and save the structure, and this is why they make sure to arrive within 45 minutes of a call for help. In addition to being at the scene of a water damage Ridgeland incident quickly, Richard and his crew are also totally available 24/7/365 to handle any sort of issue that may spring up. If your home is already dealing with a pipe burst situation, water heater malfunction, or any other kind of flooding, then don’t wait another minute to contact Richard and the water damage Ridgeland team with 911 Restoration Central Mississippi today! When it comes to fixing homes and businesses that have already been through a pipe burst, water heater loss, or a flooding situation, there is no one more skilled for the job than Richard and his water damage Ridgeland team, but they are also specialists when it comes to helping people prevent such incidents too. Keep your trees trimmed to avoid any dead branches coming down and impaling your home when you least expect it. A branch that cuts through the roofing layers can introduce huge amounts of water damage to the interior. Check the hoses, fittings, and connectors on your water-based appliances to ensure that they don’t show any wear and tear. This can be a sign of a future rupture. 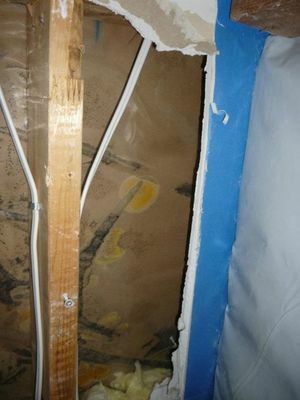 Replacing these is much cheaper and easier than replacing a water damaged room, so check often. Be vigilant about inspecting your pipes for rust and puddling of drips as these can be a sign of corrosion and a future pipe burst section. 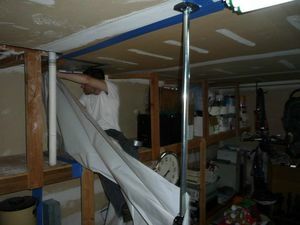 Replacing this section is vastly easier and cheaper than replacing the whole room the pipe is in. Let a restoration expert come and take a look at your whole system and property once every few years to ensure that you don’t have any small obstructions that might devolve to become larger water damage scenarios down the road. 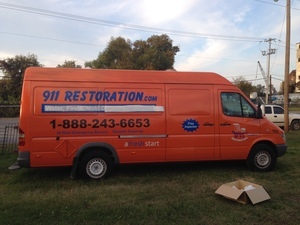 If your home is already undergoing a water damage incident of some sort and you want the effects of this eliminated by the best in the industry, then don’t wait another minute to contact Richard and the water damage Ridgeland team with 911 Restoration Central Mississippi today! When Richard and his water damage Ridgeland team take on a project they make sure to bring all of the latest drying technology and advanced extraction equipment to provide people with the best possible experience during their situation. Richard and his water damage Ridgeland team then placed dehumidifiers and heaters into the space to make sure that there was no excess moisture left in any hard to reach sections. 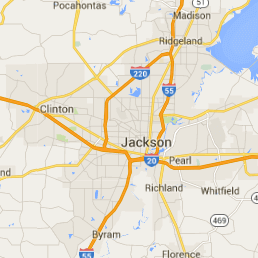 If your home is already dealing with a water damage incident of some sort and you want the situation resolved by the best in the business, then contact Richard and the water damage Ridgeland team with 911 Restoration Central Mississippi today!